My name is John and I just thought i'd put another tank journal because I deleted the old one. I only deleted it because I quit my job 3 months ago after buying my house and I didn't know if I was gonna keep my tank. My wife told me to keep it since it was going to be my for my daughter and she loves looking at the tank. Long story short; tank was set up May 2018 after coming from a 7g fluval edge. The fluval edge was broken down in April 2018 due to sea spider infestations. I dip all my corals, but found that they do not kill the eggs that are on it. The sps corals were purchased off from a local reef central member, and I no longer keep in touch with that person. At first, I thought my parameters were off with the RTN, but not until I looked at night one day and noticed them everywhere. I took out all the sps I had and tried to dip them a couple more times over a course of 2 weeks, but I had no luck. I basically threw everything away and started fresh all over again. Parameters as of 10/10/2018 using saliferts. Was using red sea pro salt, but changed it to blue just last month. Made a small egg crate area for a refugium in next few weeks. Maybe add another xr15pro after borrowing the BARS par meter to see where I am at. Tempted at adding another lyretail anthia and a mystery wrasse. While still unemployed currently, the tank is almost at the 6 months mark and anxious to put in some corals. I have my little brother living in Texas that is mailing me some corals next month and looking forward in adding more color. 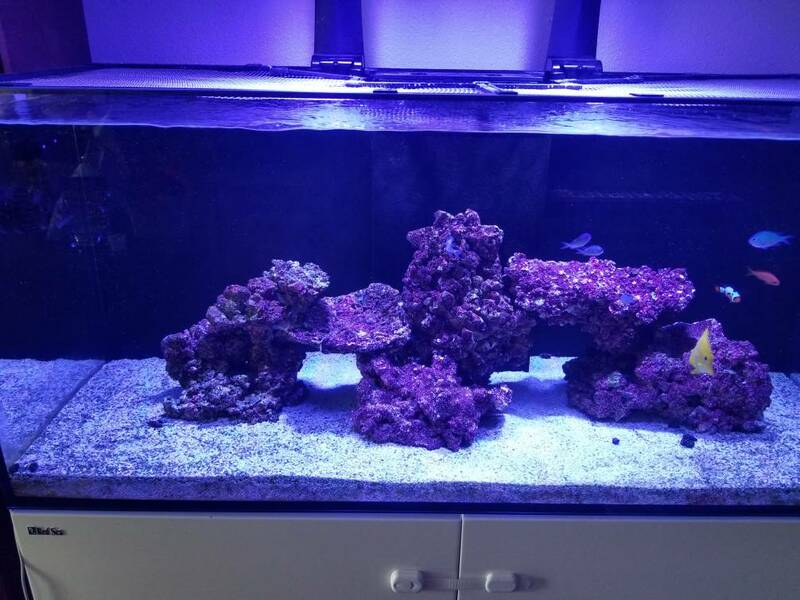 Majority of his corals that he is going to send me was from my old tank 5 years ago when took a break due to life issues. Hoping to become more active in this community and looking forward in meeting other members. Never heard of sea spiders. Eeek. Where are you located? Glad you set up a new tank journal. I am in San Leandro. They are mainly called pycnogonids. Hard to see in the picture there if you don't know what you're looking for. Close up of the ones that I've encountered in the past. You have quite the infestation in that shot there. Wow that is new to me too. How many cycles to kill them all - how long does it take eggs to hatch? I can not give you an answer on both of your questions. I was able to eradicate the ones on the corals each time I dip, but I am sure more of them were hiding in the live rock during the day. winning the battle but lost the war. Do any fish eat these? maybe a Wrasse? from what I have read on other forums, it is a hit or miss with wrasse and six lines since they have no known predators. the spiders are mainly active at night and moves so slow that the fish cant see them. 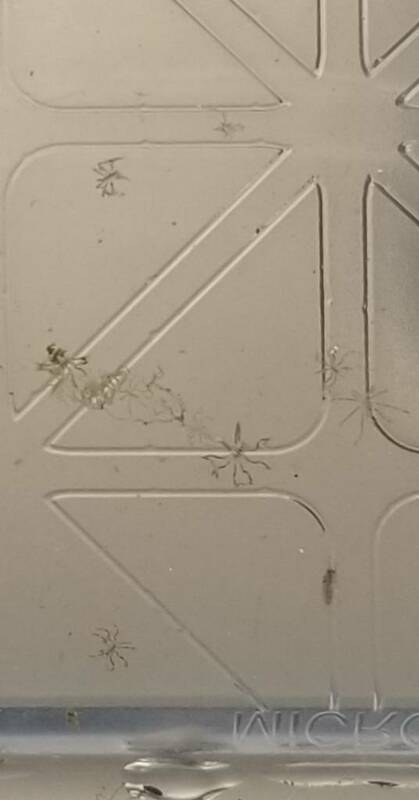 So enough with the spiders. Just thought I'd make a quick update and some issues I've had. The rsr350 is at the six month mark and had trouble keeping po3 at 0.03ppm and lowering the no3 from 25ppm to under 10ppm. I was able to put in a few sps frags from other reefers and some store brought, but would end up having algae growing on the tips. At first, I thought the alk was high, but testing shows alk - 8.6. Only thing I thought about was the tank was too clean - need more nutrients since the chaeto was barely growing. Was trying to feed frozen mysis shrimp more often and not rinsing them first, but po3 still wasn't going up. 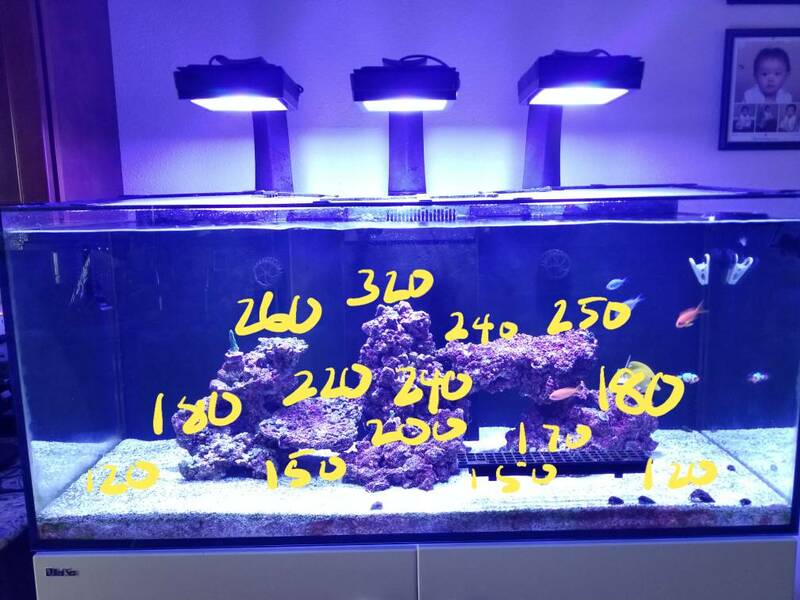 What helped in the end was I stopped doing my weekly water changes for past 2 weeks and dose 0.2ml of seachem flourish phosphates daily. As of today, po3 is at 0.03ppm with nitrates at 10ppm and chaeto has been growing - felt like a success, but we'll see. Oh man. I hope my wife doesn’t see this thread ... she might change her mind about the tank, lol. Do you have any updated shots of the tank? 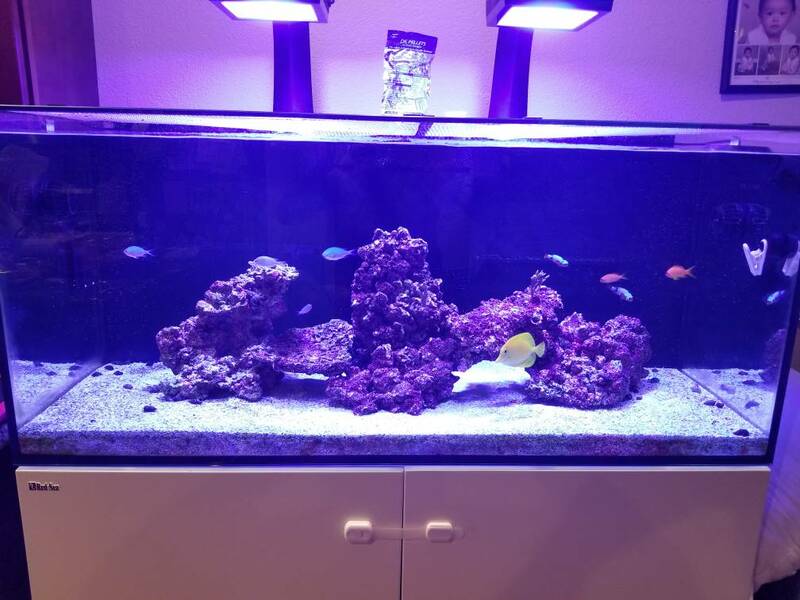 moved the aquascape a little lower to run mp10 at 100% on reefcrest. radions are about 14" in on each side running at 75% intensity with diffusers on - par unknown so just guessing. had a lyretail anthia jump out and landed on top of the lid which had maybe half an inch gap where the overflow box is. pretty much trying to stabilize the parameters before I put in sps in. was thinking of some chalices to start adding color first. Looks good. I really like the aquascaping. You may want to consider upgrade your mp10 to 40, running 100% 24/7 might get your wetside fail earlier. thanks for the compliments and input. I do plan on getting a pair of mp40s for the sides in the near future. thanks to the PAR meter, I was running lower than I thought. I brought another xr15 from a member and spaced them out accordingly. the readings are from the AB+ at 100% under diffusers and rsr diy lid. was going to modify the lid, but clearviewlids - which was artfully lids - had a 25% black Friday sale so I ordered one of their tsunami lids - eta 2 weeks cause of the custom cut outs. added a few sps pieces to see how they do. happy holiday reefers!! !